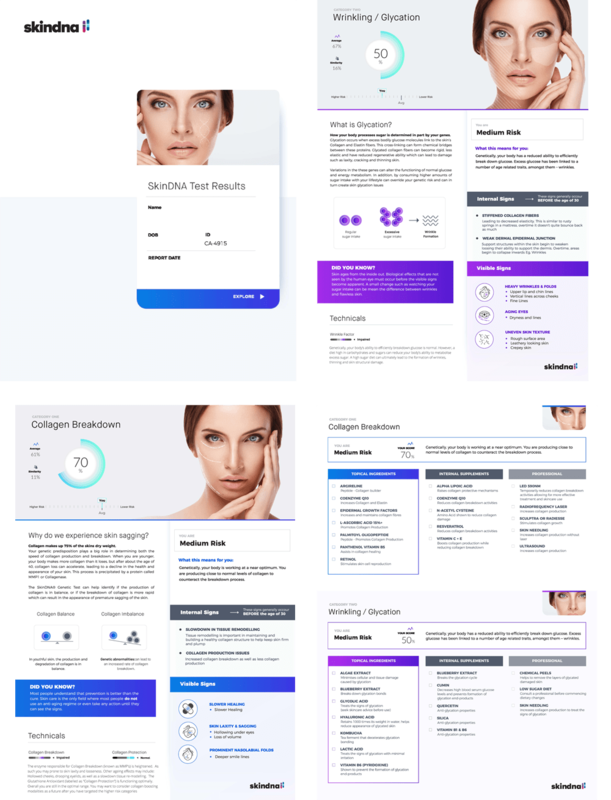 With SkinDNA your DNA results are used to scientifically create a personalized guide to provide you with a unique skin care regime tailored specifically to you. SkinDNA ™ is a revolutionary DNA laboratory test that examines 16 genetic markers (SNPs) in 5 categories associated with skin aging. 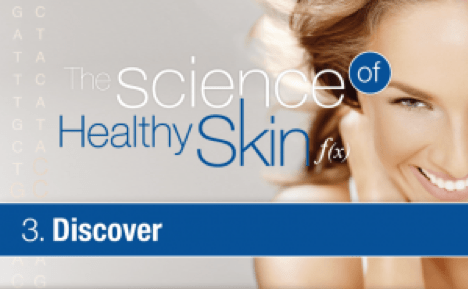 Helping you choose the right skin care ingredients targeted to your own genetic blueprint. Supporting skin damage through a process called glycation. Glucose is the sugar your body uses as its main source of fuel. If not metabolized properly, glucose can bind to your skin’s collagen and elastin fibers, forming abnormal chemical bridges that cause tissue damage. This process, called glycation, causes your skin to become rigid and lose elasticity. 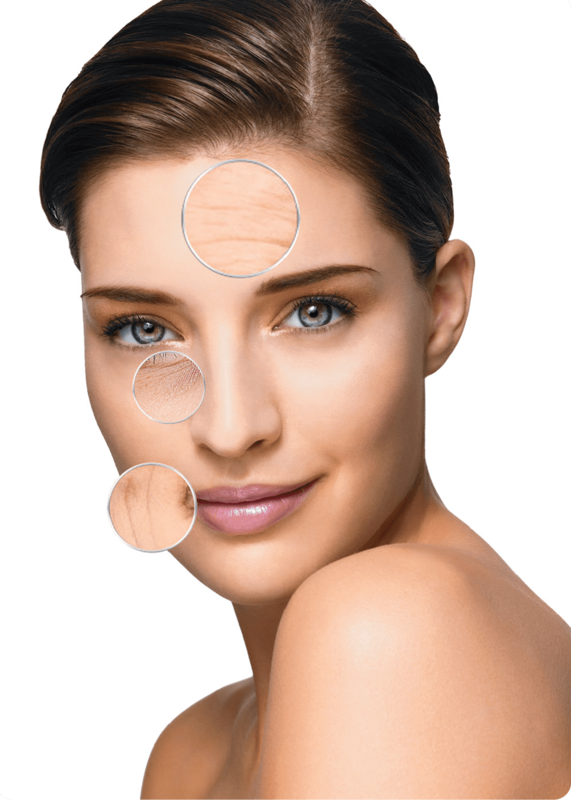 Glycation also impairs your skin’s ability to regenerate, which leads to skin laxity, cracking, thinning, redness, and inability to self-repair. Exposure to ultraviolet (UV) light from the sun accounts for 90% of the symptoms of early skin aging, skin damage, and skin cancer. Every time your skin is exposed to UV light, skin damage occurs. The cumulative effect of repeated sun damage causes epidermal DNA damage, persistent inflammation, and oxidative stress, negatively affecting the health and appearance of your skin. 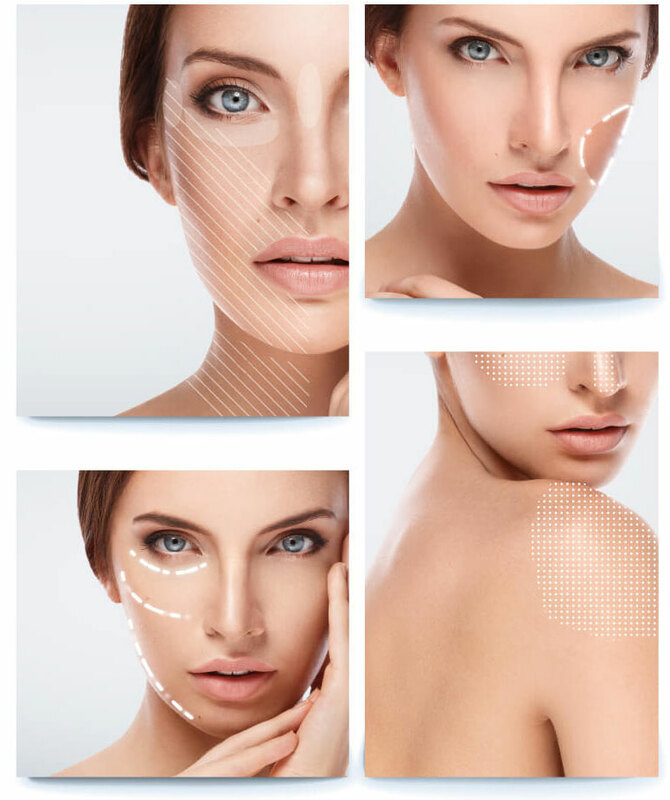 Research at SkinDNA ™ has shown that the amount of antioxidants in your body is directly proportional to the healthy long term appearance of your skin! Free radicals are highly reactive short lived molecules that can damage virtually any molecule in our body – including the important cellular structures found in the body’s largest organ – the skin. Ever wonder why your skin becomes sensitive in the winter? Or why your skin breaks out in the heat? How about developing skin rash or rosacea after applying perfumes or skincare? Many of these redness and sensitivity issues are instigated by your bodies first primal defence – inflammation. 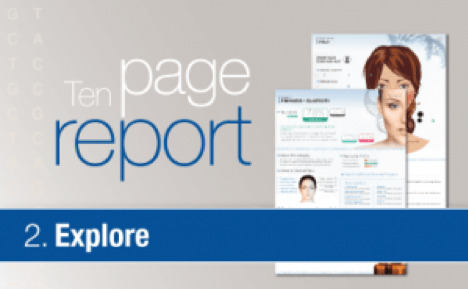 The report comes with recommendations on which skincare ingredients, professional treatments and supplements that would be best suited for your unique skin type. What ingredients should I look for in my skincare? Which professional treatments would have the biggest impact? Are there any supplements that I could take to support my aging skin? Do I need to be extra careful in the sun? Do I need more time for my skin to heal between treatments? "There are so many “miracle” creams out there. So many treatments… it’s hard to know which ones to use. Since receiving my results I now feel confident in the products that I’m selecting. I feel that I can trust that the treatments that I choose to use will have the greatest impact. Honestly, I wish I had done this years ago!" Receive a kit in the mail. 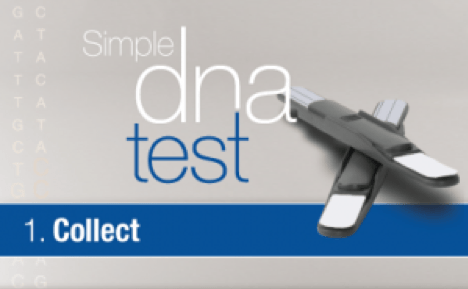 Simply swab the inside of your cheek, and post your DNA sample to the lab for processing. 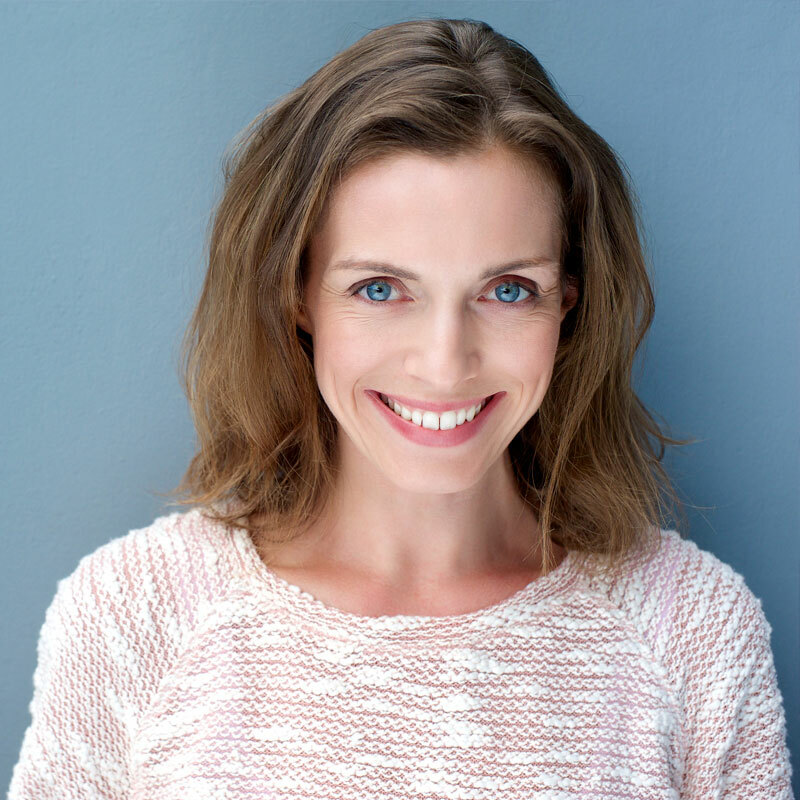 Order our scientifically selected skin care products with ingredient recommendations based on your SkinDNA™ results.